CONGRATS TO TFL SEASON 4 WINNERS THE UNDERCOVERS! 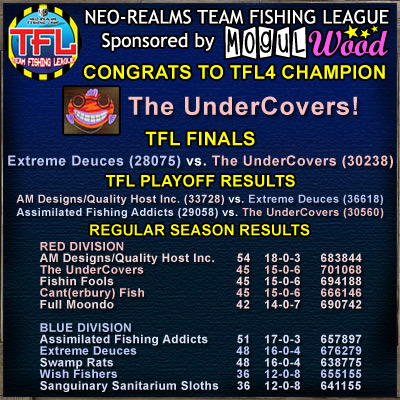 A big congratulations to The UnderCovers, the TFL Season 4 Champions for this year! It was a hard-fought campaign and made for an exciting season! A special thanks to all of our sponsors, and to all who participated. See you again next season! Winnings teams: your prizes will be distributed within the next couple of days. 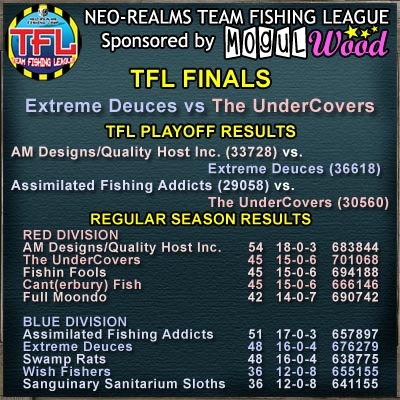 Congrats to Extreme Deuces and The UnderCovers who advance to the finals this week! 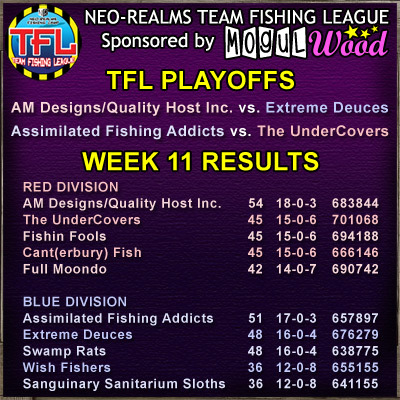 Week 11 Results and Beginning of Playoffs! 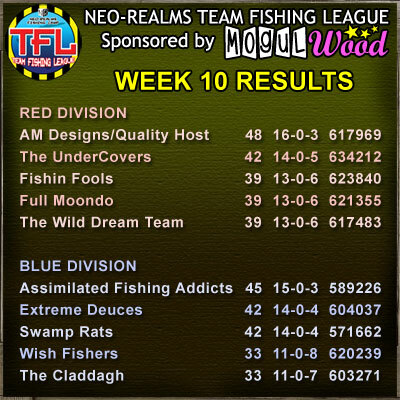 In Blue Division: Assimilated Fishing Addicts easily reach the playoffs, while Extreme Deuces barely edge over Swamp Rats just on total points. 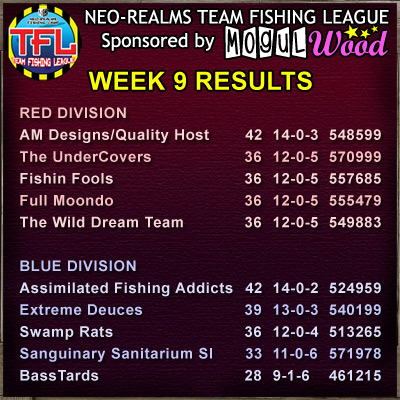 In Red Divison: AM Designs/Quality Host Inc. cruise into the playoffs while The UnderCovers secure a playoff space just barely above Fishin Fools and Cant(erbury) Fish. The tie was broken by only 6880 total points! For the 4 teams involved in playoffs, matches will be available soon and must be finished by Monday, June 21st. Then the final remaining teams will have the final to be played by Monday, June 28th.